You will love the way your lips look and feel the first time you use this rich, healing lip balm. 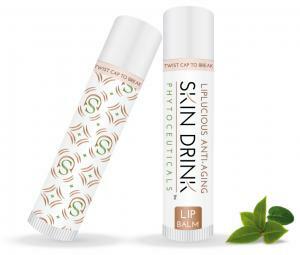 Aloe Vera based, it works to keep your lips soft and luscious! Use it alone or under lipstick to make your lips moist. It allows lip stick application to go on smoother and prettier. Here’s how: Apply Liplucious Lip Balm, blot lips. Apply any lip stick for beautiful results! Ingredients in our all natural lip balm: Soybean Oil, Sunflower Oil, Beeswax, Jojoba Oil, Cocoa Butter, Shea Butter, Vitamin E, Aloe Vera, and Vanilla.